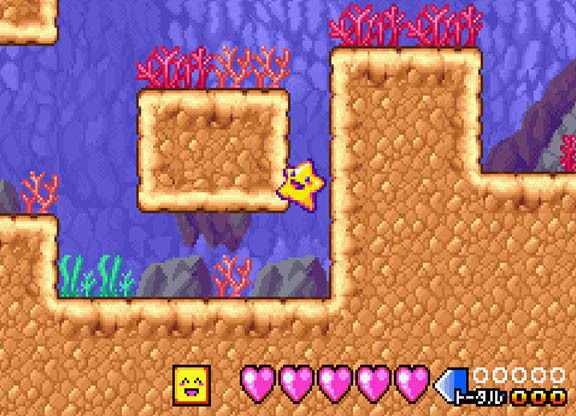 OverviewGuide Stafy through his first adventure for the Gameboy Advance. 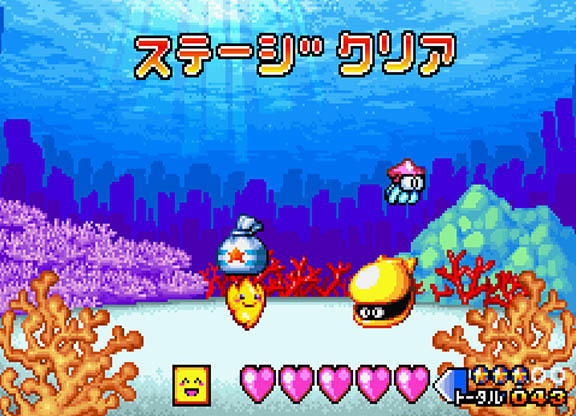 Help out familiar faces like Kyorosuke and Hadehihari, and defeat the evil Ogura! 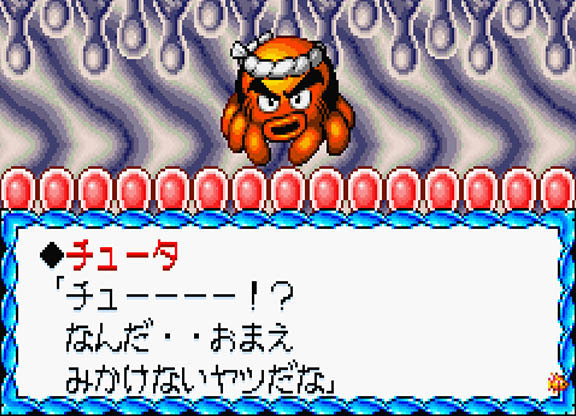 You play Stafy, Prince of Pufftop who one day drops a pot from his cloudy home, which contained an evil beast called Ogura. 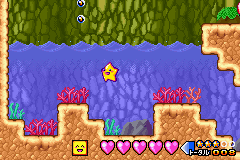 Stafy (Having plummeted with it) must scourer the ocean and defeat Ogura with help from the new friends he made on his adventure. 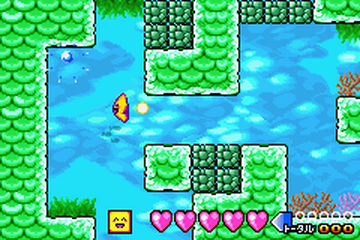 This game was originally planned to be released for the Game Boy Color. 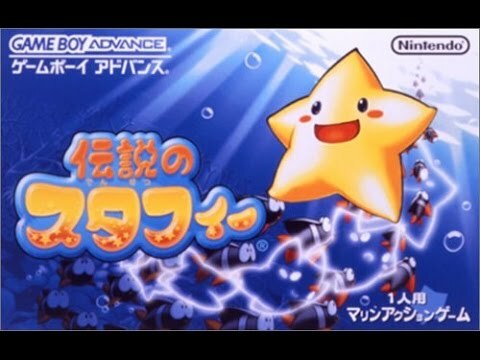 Densetsu no Stafy is a Japan-only GBA game and the first game in the Legendary Starfy series. 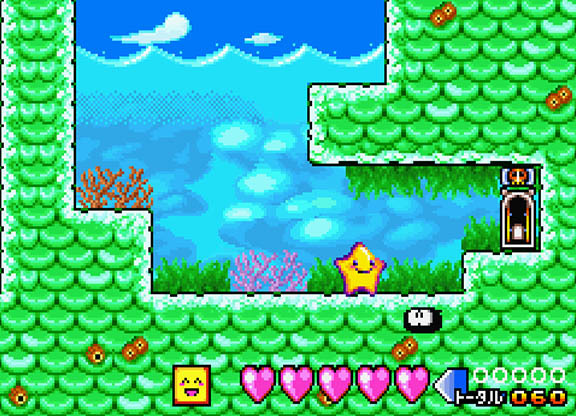 You play as Starfy, the main character in this game. 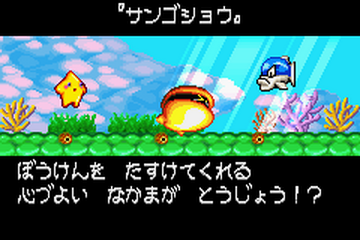 You use Starfy to swim around locations, gather friends, and defeat a villian, known as Ogura. Now you can add videos, screenshots, or other images (cover scans, disc scans, etc.) 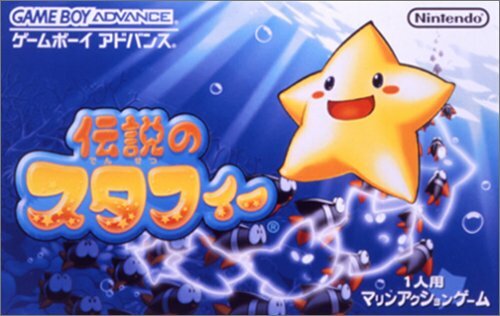 for Densetsu no Stafy (J)(Eurasia) to Emuparadise. Do it now! 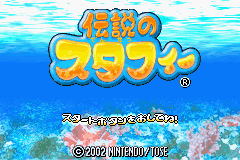 : playable title for anyone who enjoys a nice side-scrolling action title. 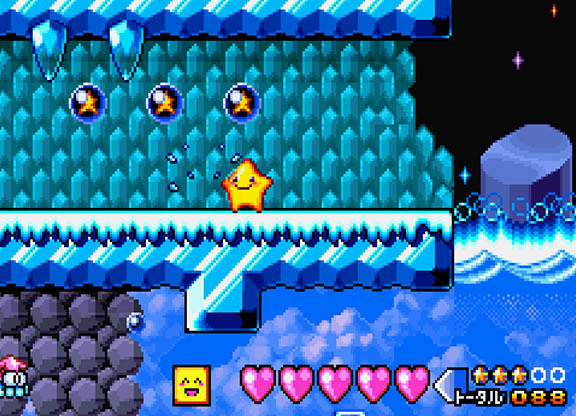 : and various moves in Starfy's repertoire. 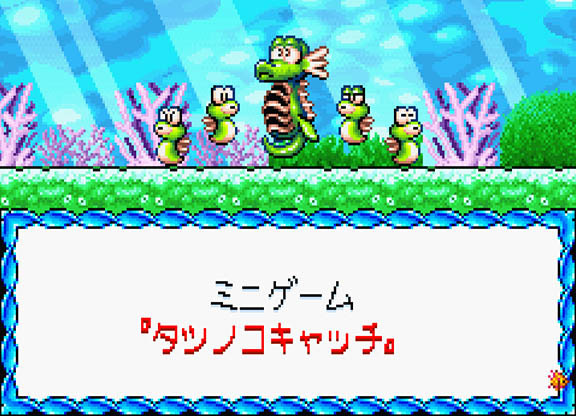 : For reference, the game's title in Japanese is "Densetsu no Sutafii." 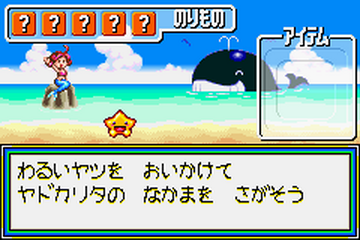 : Refer to the game's web site above for specific game information. : Mode7, Nightfall, Oldskool, Paradox, RSiSO, SAC & Venom.